Baby it’s cold outside! 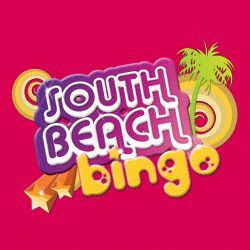 Come inside and join South Beach Bingo for their Frosty Fun Bingo promotion for your chance to place your mittens on a prize! To try your luck in Frosty Bingo, simply deposit a minimum $50 from December 1st to December 9th and start collecting Snowflake patterns playing in the Dollar, Desperate Housewives, Fusion and Supernova rooms. Collect the most Snowflake Patterns and you’ll be one of the three lucky winners that shovel up bonus prizes! Play for a $1,000 bonus for first place, $500 bonus for second place and a $250 bonus for third place! What are you waiting for? Come and catch as many snowflakes as you can and bag a big bonus in the South Beach Bingo Frosty Bingo fun promo!